For months I have wanted to say something about the crisis of fresh water in Canada’s Northern communities. Some news agencies have brought articles to that focus on problems with children suffering from skin problems and other illnesses. There is the possibility that any such news item will point the blame back to the primary caregivers: the parents of children. Because, there always has to be, someone to blame, if we do not look at the bigger picture. I lived in Northern British Columbia for seven years and half of that was in a cabin without running water. Although there was an oil burning, electric baseboards, paved driveway suburb down the hill, I felt that the environment in which I lived demanded a kinder approach. I collected snow, packed it into containers and melted it to wash my body, for dishes and for boiling some foods. I hauled drinking water from a spring in the woods, on a toboggan, uphill to the cabin where I chopped wood to heat my cabin. I was not born there and the lifestyle I lived was of my own choice. I do believe that being born in the north, and above the tree line, brings more challenges than choices. When I began working at a local sawmill, I continued to live without running water for a year. And then I needed it. The eight-hour shifts, especially the graveyard shifts in the winter, reshaped my idea of how to carry out daily chores. For about six months of working at the sawmill, I hauled water from the nearby lake. 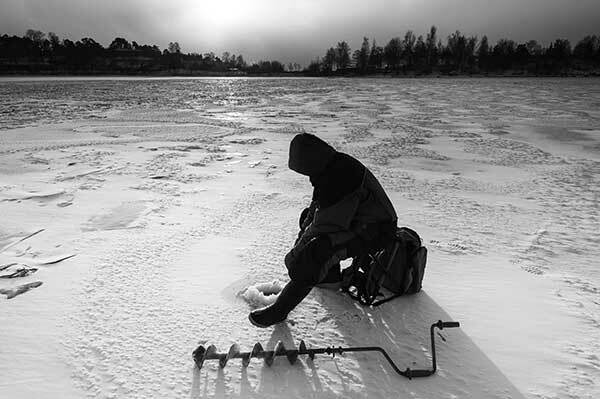 Using an ice auger of the type that is used for recreational ice fishing, I drilled holes and collected the fresh water in pails. When the minus 30 degrees Fahrenheit set in, I placed a plastic sheet and plywood over the water hole in an attempt to keep it from freezing deeper. It did not really work, and the hole was smaller each time that I returned. One day, I hit the mud bottom of the lake. That is when I gave up and asked for help at a gas station in town. The owners allowed me to draw water from their tap. Why did I do it? I am not exactly sure, but somehow, it seemed that I had a debt to pay; that I could not expect to live an easy life, with everything provided. That remains to be my story to decipher. I was a young, independent woman and found the challenges of northern living to be invigorating. If I had been a parent with children to care for, I think that my decisions would have been different. I might have decided to live in one of the southerly Canadian cities that I hailed from. 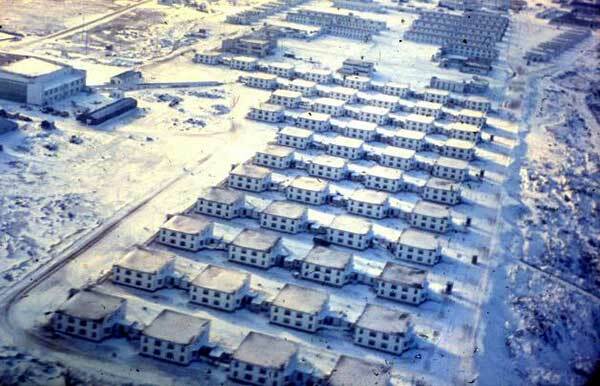 One of the clues for deciphering my choice to live in the north might be that my family lived in Fort Churchill, Manitoba for two years when I was a child starting school. My grades one and two were taken at the Duke of Edinburgh School. The Canadian and American governments shared that strategically placed, armed forces base. Regardless of cold weather hardships, I always believed that it was idyllic in the sense of the ideas fed to me as a young student. In the school curriculum, I was privy to the latest NFB releases, and at the base cinema, I saw Hollywood releases of the moment. Nanook of the North, Paddle to the Sea and Boogie Doodle; were juxtapositioned with Laurel and Hardy, Gone With the Wind, Song of the South, Bridge of the River Kwai and War and Peace. From the shores of the Hudson Bay, I saw whales, polar bears in the churchyard, and I jumped over crevasses too deep to hear the pebble hit bottom. In the meantime, as I now read, native people were forced to relocate there. They suffered from malnutrition, sub-standard living conditions and physical abuse. The muffled stories turned out to be true and more are coming to light. A glowing star in my northern memory bank is that my younger sister was born there, on International Women’s Day. Back to the water story: We are currently under a boil-water advisory here in Moncton, New Brunswick, due to a burst water main. It is temporary, but difficult to remember to not brush your teeth, or to wash your face except with boiled or distilled water. Being born in the north and above the tree line brings more challenges than choices. Communities without water that is clean of bacteria and viruses, or those with water laden with heavy metals, have more to worry about than drinking water. They have to skimp on laundry habits from cleaning bedding and baby clothes to washing hands and food preparation. The solutions that I was able to find are not available above the tree line. Melting snow is a costly venture without wood to burn. The use of imported fuel and high priced detergents must be rationed. It is a terrifying thought; the necessity of protecting children from what we should be able to think of as: life-giving, life-supporting water. Who will take care of our people if we do not? OMG Valerie! I never realized all that you went through while living in northern B.C. You are such a determined and solution seeking woman who never gives up and although I don’t always understand your modus operandi,I admire your courage and determination and love that you are my sister. Thank you for sharing that article!